Live fully your outdoor day. Enjoy your break in a suggestive location in middle of the Mountain. Savor a sandwich with a view on the snowy peaks and get the energies to continue your day of sport. The street food arrives at Carosello 3000 with a format oriented to the outdoor and to the respect of the nature. 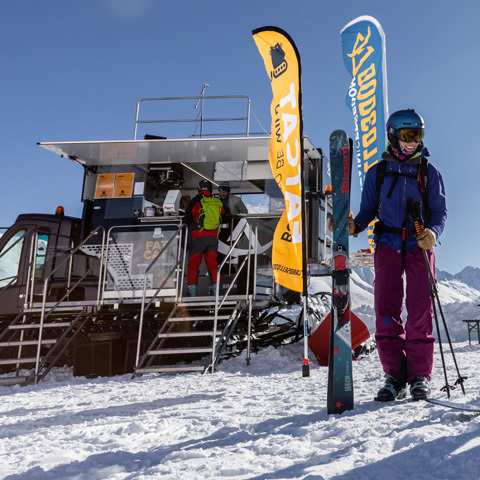 The FAT CAT, from the “Snowlicious” family of Prinoth, is a snowcat with a super furnished kitchen, which is placed every day in a different location of the ski-area. Search it during the ski morning and stop for a different lunch surrounded by nature. 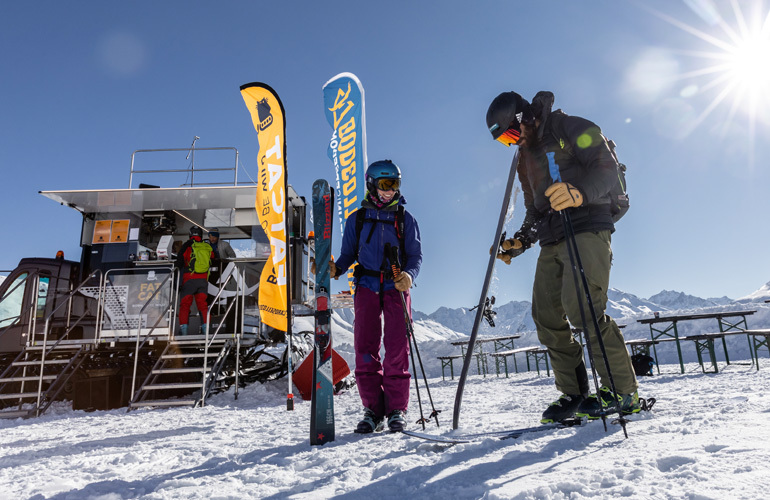 But don’t expect gourmet food and haute cuisine, the Fat Cat is really “fat”: sandwiches with various type of meat, sausages and dressings, to give you the right power during your ski day. The casual and festive environment, with live rock music and games, will give you a funny and tasty break. *The program might be subject to variations due to meteorogical conditions.